With light feet I followed the trail as it made its final turn before coming to an end at the shelter that marks the summit of Mount Whitney. I paused in my steps, let my face catch the warming rays of the afternoon sun shining from a clear blue sky, and I deeply inhaled the thin, 14,500 foot air. Feelings of pride, humility, and gratitude washed over me as I took the final steps to the summit. For almost an hour I had the roof of the lower 48 states to myself. I sat in silence, contemplating the journey that had taken me there. The hike up that day had been somewhat of a cakewalk, not at all what I’d anticipated. My real challenge laid behind me, in the years prior to that moment. Right then and there I felt strong, invincible, and so completely alive. Yet it wasn’t all that long ago my life was focused merely on survival. I slowly removed a necklace I’d been carrying, a belonging of someone who was supposed to have shared this moment with me, but who never got that chance. 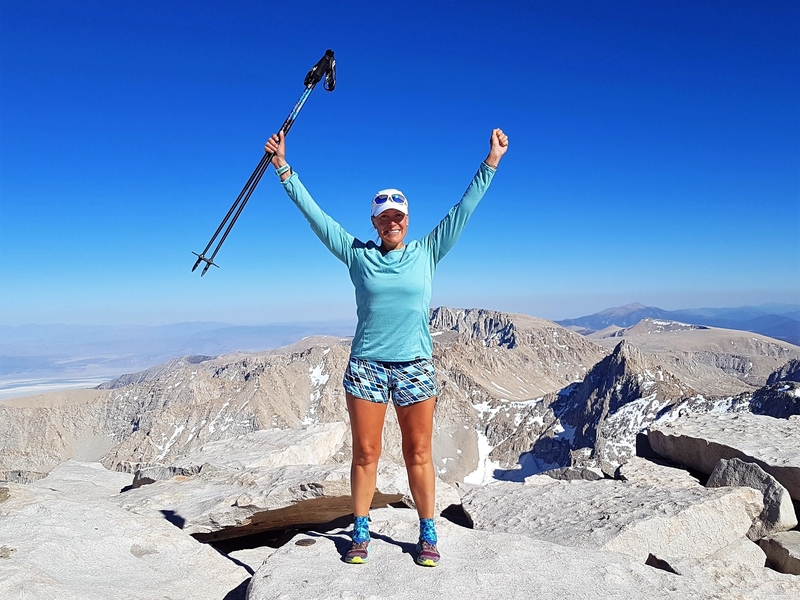 Coming down Mount Whitney, I knew this was my opportunity for change. I had been able to let years of guilt, anger, and fear go, and it was as if I’d broken the chains of how I ought to live my life according to others. I didn’t know yet what I wanted to make of it, but I knew I was finally free to decide for myself what my next steps would be. It was one of the most empowering moments I’ve experienced. That night, at Crabtree Meadows campground, I laid wide awake as possibilities I’d spent years not thinking about rushed through my mind and filled my heart with happiness and faith. 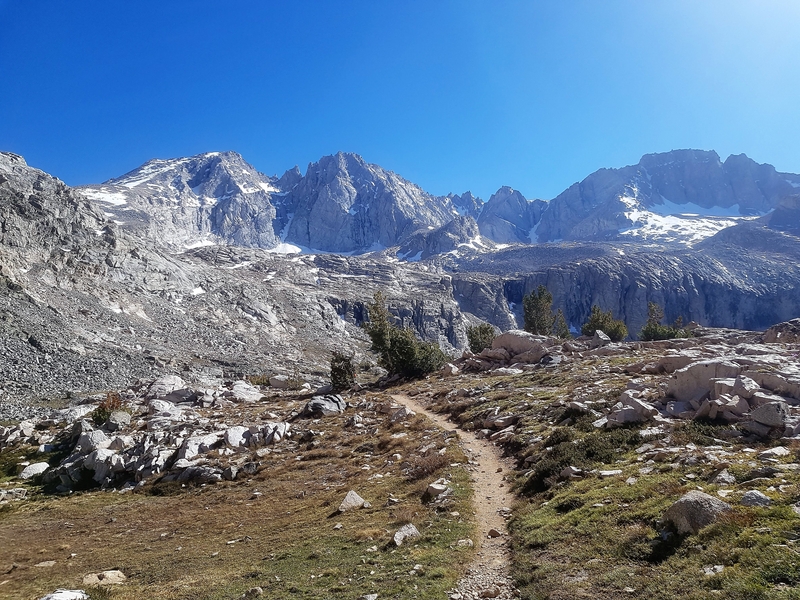 The­­­­­­ months since I hiked 1,200 miles on the PCT earlier this year have been a whirlwind. I’ve had opportunities thrown my way that I never could’ve dreamed of. Job offers that any sane person wouldn’t turn down. The option to step right into the western-world dream life with houses, cars, pets, and kids. Yet the more I’ve tried to go down that path in life, the more I’ve felt like I’m drowning. It’s as though I’m suffocating from the expectations of society, trying to mold myself into someone that I’m not. Something happened on that mountain in June. I hiked up a woman who’d spent years in an abusive relationship and its aftermath, where others had been given too much of a say in how I should live my life. I came down, however, decisive to look my fears in the eye and, no matter the consequences, start doing things my way. There was no going back from that transformation. There are times in life when you’ve got to take a leap of faith. You need to take that jump and not fear the fall, but trust you’ll figure out a way to build your wings in the air. For the first time in my goal-driven life, I don’t have a plan. I don’t know where this journey will take me; I just know I have to embark on it. I look forward to reconnecting with the mountains, the wilderness, and, with that, myself. I’m excited for the process and curious as to what the outcome eventually will be. This is me telling those who tried to control my life to take a hike (pun intended). This is me redefining that yearbook label “most likely to succeed.. This is me becoming who I already am. Let’s get this train to Crazy Cook and onward to Canada rolling, shall we? Hi Mike, thanks for taking the time to comment. There’s much truth to what you said!